Actually camp life truly isn’t hard here. The tent cities are well graded and drained. We have elevated wood floors. The climate is mild. And we can get to a hot shower without too much effort. I’ve been in worse shape at a cheap hotel in South Dakota. I’m getting the feel of the place, and it has a real living pulse. A routine flow has taken hold, now that the fighting is over and facilities are up enough to support operations. Not that we’re by any means done building up Okinawan bases. Every expansion is met with a ready need for more. A tank farm is barely filled for the first time before a line of trucks or ships or planes has formed ready to take on fuel. Each new mess hall only slightly shortens the lines at three others. Freshly paved road lanes are set upon promptly by hordes of loaded trucks, requiring constant maintenance. This morning I walked with Major Lawless over the island to watch planes take off for a big raid that we were tipped off to. From the right vantage point one can see the airfields at Kadena and Yontan, which we took from the Japanese and promptly expanded, plus a new extra-long airstrip at Bolo point. We were sending everything including the kitchen sink for a remodel of southern Japan that day. Long range fighters were going up almost side by side with Liberator bombers. Bunches of our new twin engine attack planes formed up over the East China Sea before droning off into the high overcast sky. We watched for over an hour as the formations came together for their deadly migration. 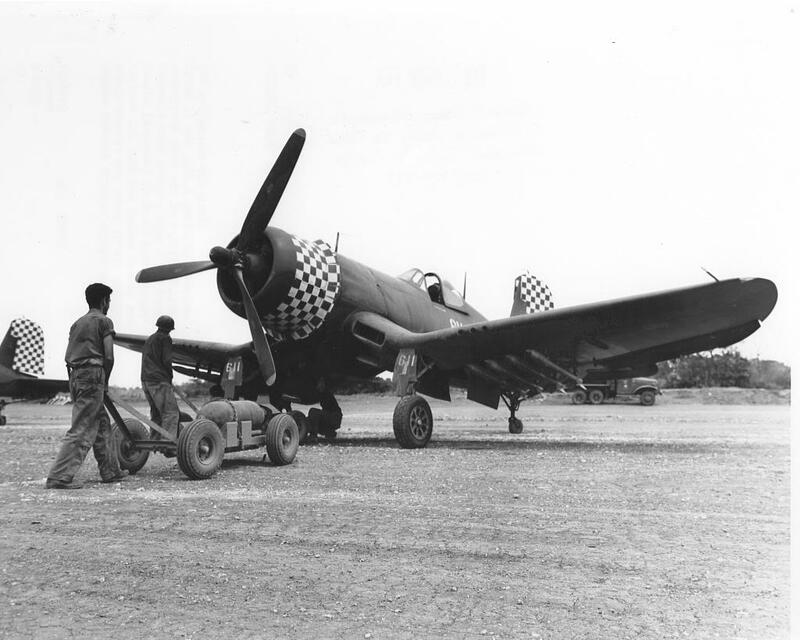 Thousands of men on the ground wrangled equipment, shifting from the hustle of fueling and arming planes to preparations for receiving them back, making repairs, and starting all over again.